As a person who is obsessed with plantains, this dis hit home for me. Thank you so much. This was delicious and filling. I left out the tomatoes because I didn’t have them (and am not really a fan anyway) and it was still excellent. First time cooking plantains! Definitely a new staple for me to cook with, though I’d eaten them plenty of times before when travelling. I will be making this recipe again and again! I’m glad you like it as much as I do, Margaret. Thanks for stopping by! This is a a great idea, good job. 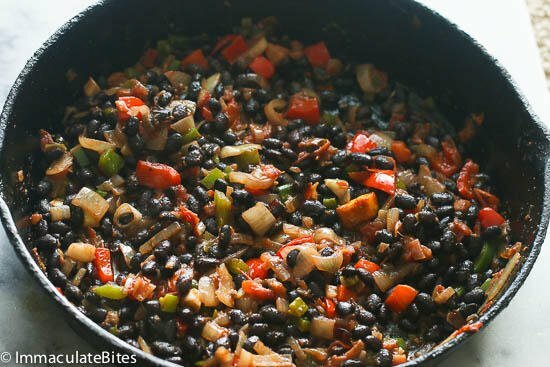 I already make black beans like this for tacos and tortillas but with ground beef, exactly like this. 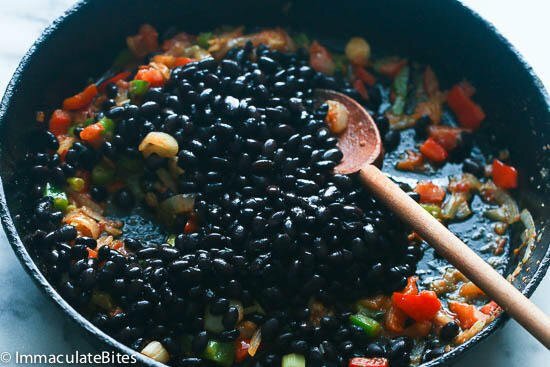 I’m from the anglo caribbean, as you know we don’t use any type of of black beans (but I have been using it quite a lot), because it soaks and cooks so fast I now see why people from Latin american countries use it. 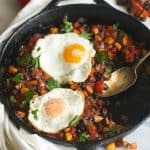 I was looking for something that was hearty without meat to make in the mornings, and using the plantain as a harsh is a great idea. We cant do without plantains. 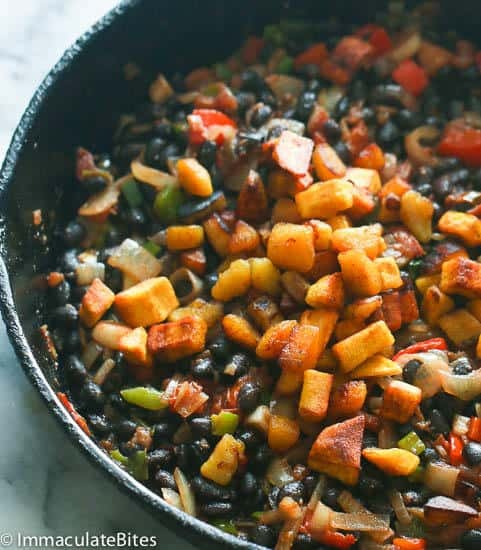 This is a great alternative to plantains on the side for breakfast, that we are used to. Just started following you. WoW you are just great in cooking!!! An insipration! 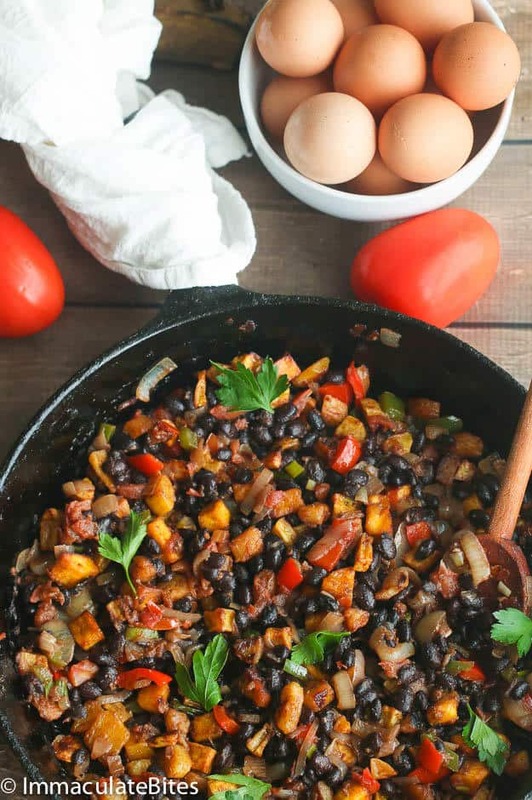 The sweet Plantain hash & eggs looks delicious. I think i Will repliceerde the Plantain with sweet potatoes. Can’t find Plantain arround here…. 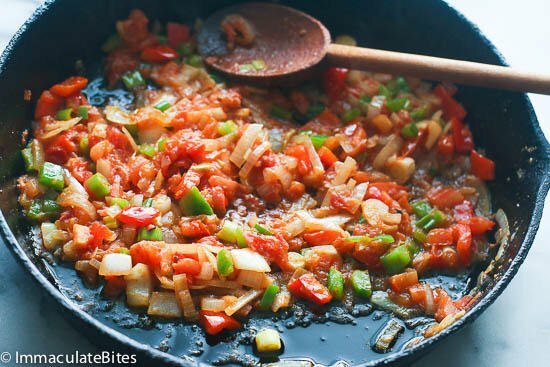 ever tried iT with sweet potatoes??? Hi Priscilla! Yes I have and it worked out well for me. That’s such a sweet comment- Thank you so much!!!! 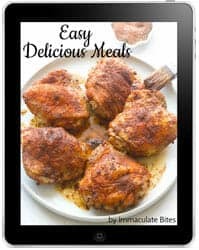 Hi Imma so me and my daughter are salivating looking at the delicious recipe :). Now it’s time to make it. It’s really delicious. Love from Los Angeles. 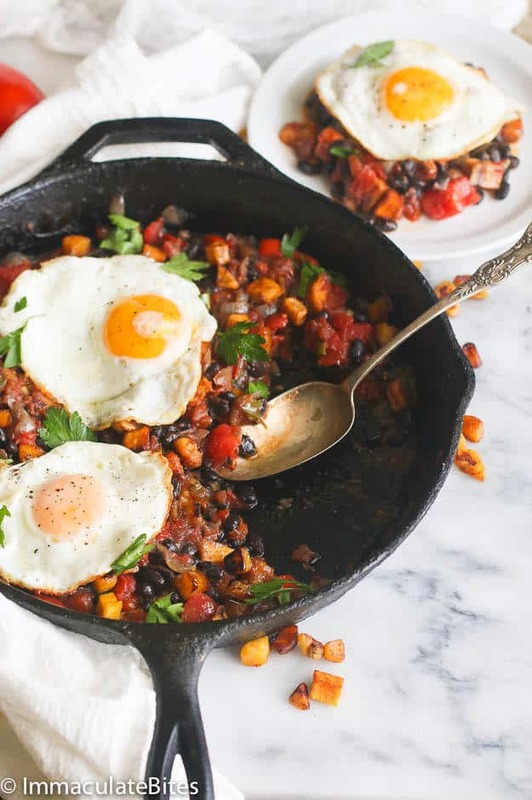 One pan and so healthy. 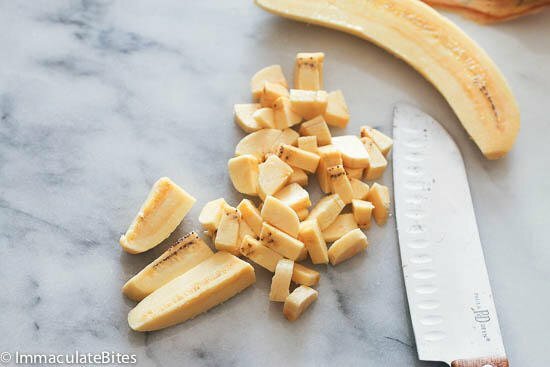 I am always stumped on how to use plantains, have pinned this for future. yum this has looks great! i’ve never tried plantains before and definitely am curious to know what they taste like! Sweet and Starchy. You got to try it. 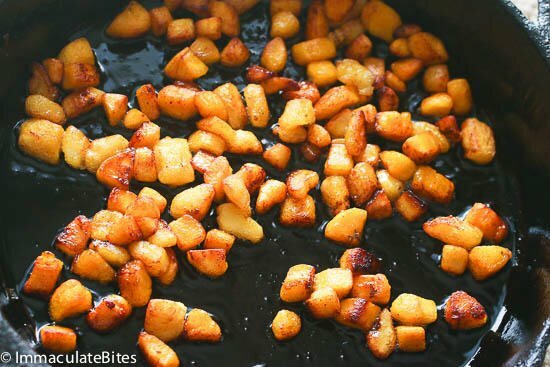 Plantain is such a popular tropical side dish in Afro- Caribbean Regions. I can just get enough of it. That should definitely pay her a visit. 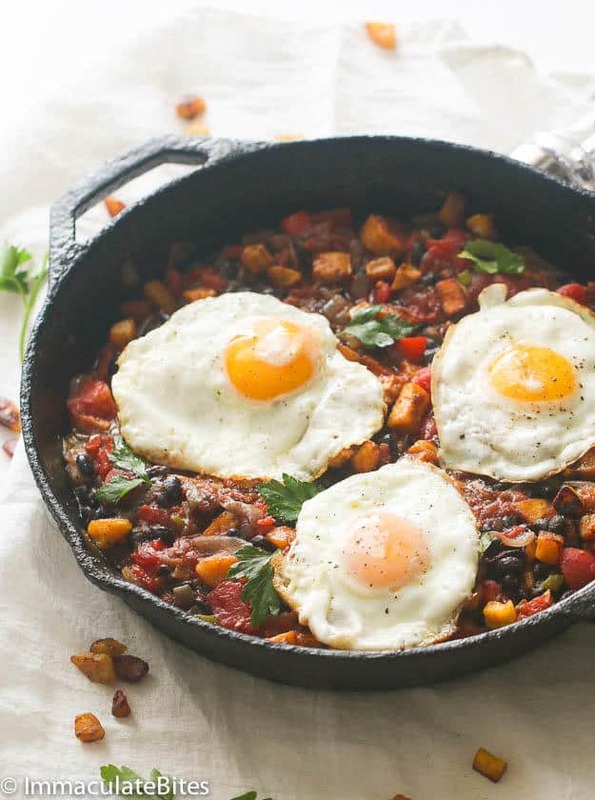 This looks like a deliciously hearty, healthy breakfast! I like that you can add as many eggs as you have people to serve. Yep! You get to choose. I love the pictures! 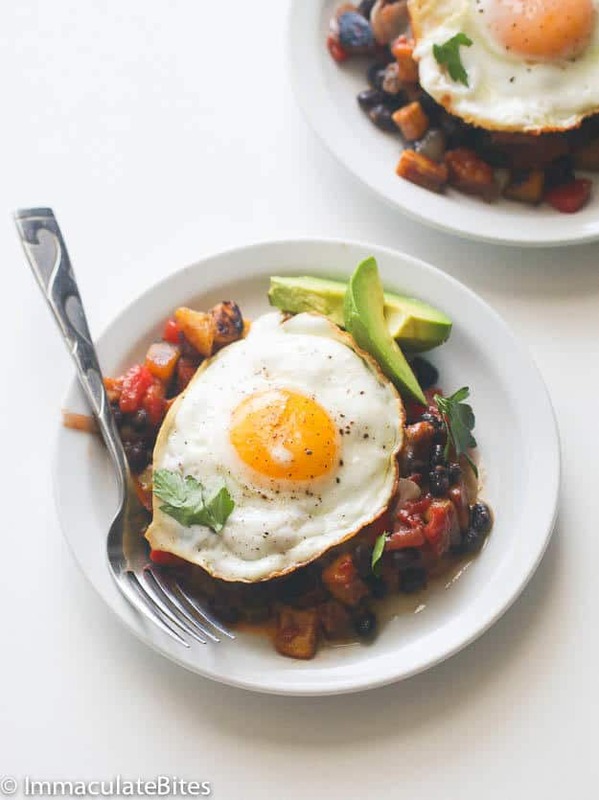 And I love this recipe for a healthy and flavorful breakfast. Just the thing to start a day off right.